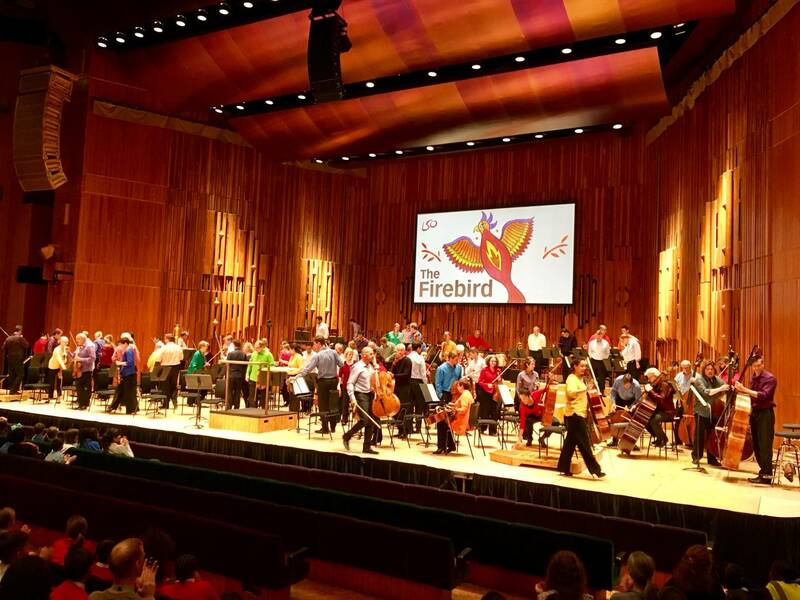 Children in years 3-6 walked to the Barbican this morning to see the London Symphony Orchestra (LSO) perform Stravinsky’s Firebird Suite. The LSO are one of the world’s top orchestras, and it was amazing to hear such a talented group of musicians. As well as hearing the entire piece of music, we were taught about how Stravinsky composed the work, and took a very active part in the performance with lots of movement and singing along. We also performed a specially composed song with the other schools at the performance all about the story from the Firebird. The children were beautifully behaved and we all had a great time. Thanks to the LSO, and also to Darragh for organising, and all of our parent volunteers for coming.